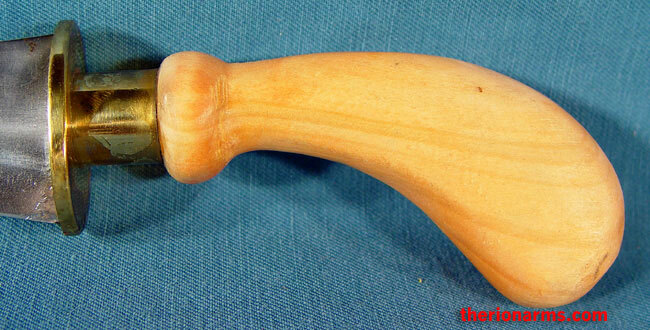 The most common Moro dagger found in Sulu and Mindanao is the punal. Punal are extensively used by the Tausug, Samal, and Yakan warriors of the Philippines. The punal has a rather ambiguous history with folklore giving many varying accounts. Some believe that it is symbolic of the stingray's tail (buntot-pagi) or that it is a mythical dragon (nagi) tooth. The hilts are unique in design, and are excellent for maintaining a firm grip in combat. This punal is made in the Philippines of L6 high-carbon steel with a brass guard and bolster, hardwood grip and matching scabbard.